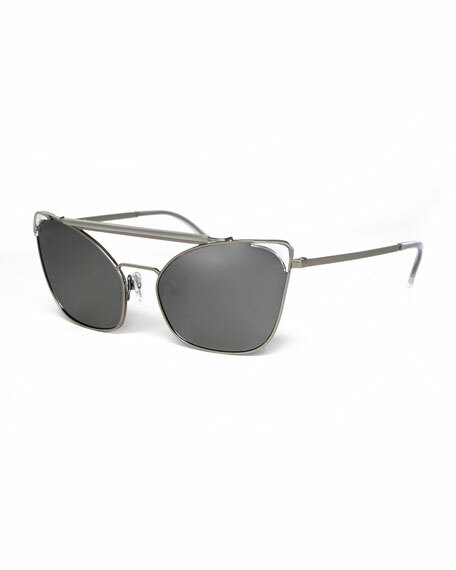 Grey Ant "Chat" exaggerated cat-eye sunglasses with aviator styling. Double nose bridge; straight brow bar. Contrast detailing at frame front. Backstory: Founded as a clothing label in 1998, Grey Ant approximates a Southern-drawled version of founder Grant Krajecki's first name. The New York-based brand's focus shifted to eyewear in 2010, and in 2014, Krajecki and partner Natalie Levy added CFDA/Vogue Fashion Fund Finalist to the company résumé. 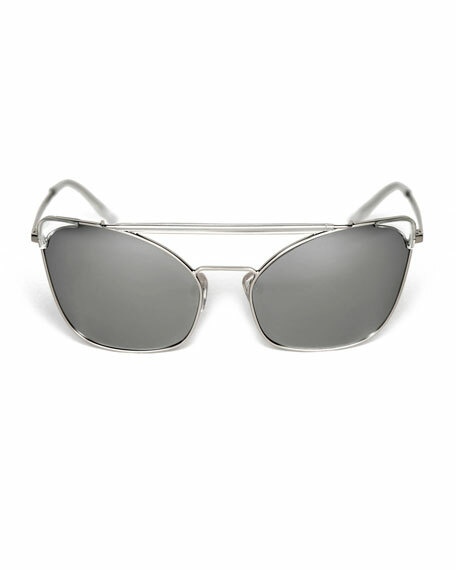 Known For: Chunky "Status" sunglasses and exaggerated styles featuring notched-out or partially rimmed frames. For in-store inquiries, use sku #1784678.